We have recently re-organized two video series that may be of interest to club officers and outreach enthusiasts alike: Sharing the Universe and Growing Your Astronomy Club. The Sharing the Universe series focuses on best practices for public astronomy outreach, and the Growing Your Astronomy Club series features techniques used by clubs nationwide to help grow your membership and encourage participation in club activities. You can find the latest copy of our club coordinator manual below, along with links to other useful resources for club management, such as award certificates, photo releases, logos and banners, and (off-site) links to suggestions for club by-laws and insurance from the Astronomical League for star parties and other club events. Andee Sherwood, NSN Guru and coordinator for the Los Angeles Astronomical Society, has created many handy guides for NSN club coordinators to help them use the website's tools to manage their club information, roster, messaging, and events. Your club's homepage on the Night Sky Network introduces the public to your club. Keeping your contact information up to date is important for receiving requests for outreach events and allows you to receive inquiries about your club from those who may wish to join your group. 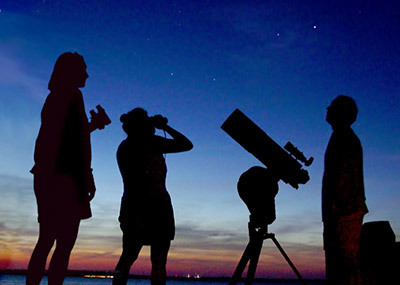 Reporting on your club's outreach events is key to maintaining membership in the NASA Night Sky Network.The NSN website's tools give clubs the ability to report on these events to NASA via the event log system. What Toolkits are Available to NSN Clubs? This article lists all of the toolkits that are currently available to member clubs that regularly report on their outreach events.These kits are automatically shipped out to every quarter to qualified clubs. Some of our most popular handouts, available for download as PDF files. Wondering how your club can keep their "Active" status to qualify for quarterly outreach toolkits, award pins, prizes, and handouts from NASA and the NSN? These short tips will help to remind you to log your clubs events after they happen - and ensure you log any resources you used during your outreach, too. NSN member Jerelyn Ramirez created a printable log form, downloadable here or below. This form can be used by members to log their events when away from the computer (or who do not have coordinator access to the site), and can then be turned in to their club outreach coordinators to use when entering the formal event logs into the NSN's event logging system. Please note all event logs must still be entered into the NSN website! Some of potential partners in your communities may wonder how to best partner with your club or other astronomers. We have a PDF you can share to help them in partnering with your club for outreach.